LEEDS UNITED | Silvestri, Wootton, Bellusci, Cooper (c), Taylor, Byram, Cook, Adeyemi (Doukara 30), Bridcutt, Dallas (Mowatt 86), Wood (Antenucci 80). SUBS | Peacock-Farrell, Coyle, Bamba, Murphy, Mowatt, Doukara, Antenucci. 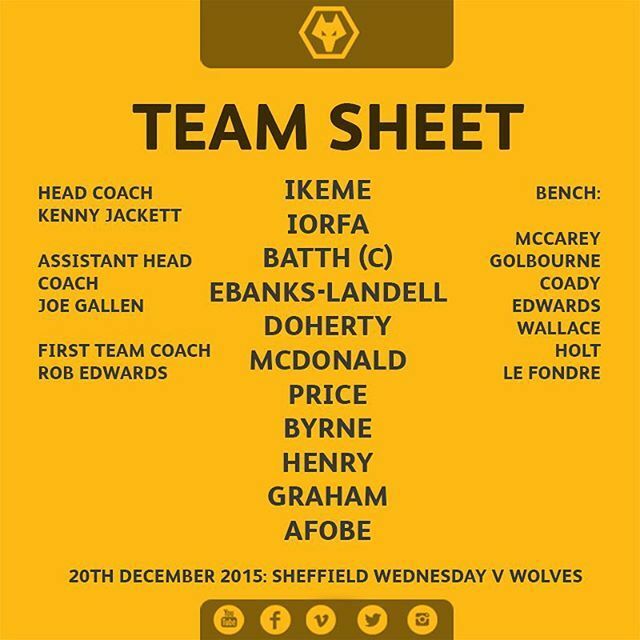 WOLVES | Ikeme; Iorfa, Batth (c), Ebanks-Landell, Golbourne; Price (Coady 84), McDonald, Henry (Byrne 67), Edwards (Le Fondre 58), Graham; Afobe. SUBS | McCarey, Doherty, Coady, Wallace, Byrne, Holt, Le Fondre. Thanks for the blog. Here's to a better New Year. Thanks for all the hard work, Otto and Matt. January Cyprus Wolf. Where do you live? I have a second home in Paphos. When's the ne t game? Five minutes of added time. 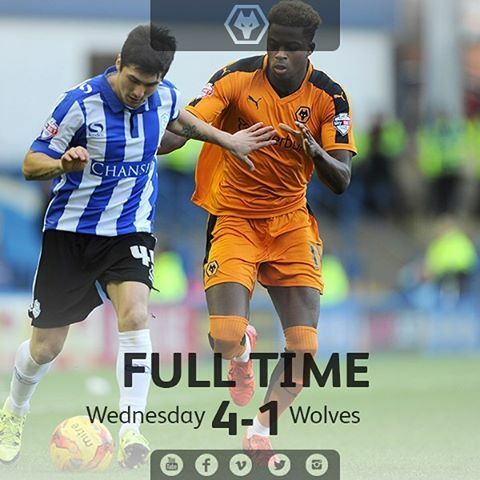 COME ON WOLVES!!!!!!!!!!!! How long can we hold onto Graham & Afobe? Byrne finds Graham who beats his man and delivers a great cross from the right, Batth gets there first but can only head over. Leeds are hanging on here. Argh! So frustrating. Fans have been crying out for Byrne to play and be given a chance, just like Graham. Why does it take Kenny so long! Should have made the change ages ago! COYW! Well done lads....draw would make us happy. 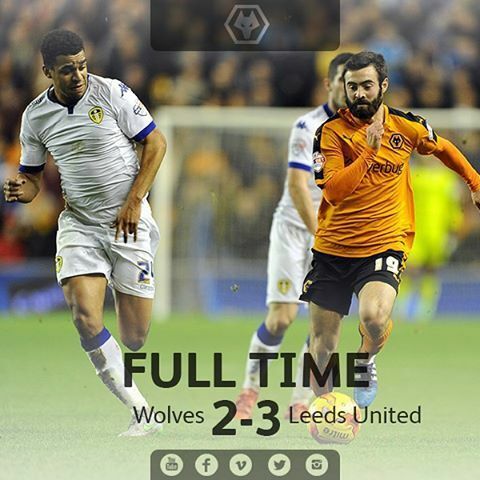 probably to little and to late anyway, but then again this is leeds ?